When we think of countries with top engineering programs, China, US and Switzerland comes in our mind. However, there are plenty other nations which offers engineering opportunities with allures of their own. France is the destination which tops the list for engineers who are in search of an international education, So Let’s take a closer look at reasons to consider France for your engineering studies. French engineering programs are well-known for their rigorous curricula which aims at positioning graduates for successful careers after their graduation. In France there are many selective Universitieswhich provides advanced theoretical concepts with practical applications, like small workshop sessions and paid internships. They also provide business training, study of foreign language, and communication skills, all teaching Diploma d’Ingénieur recipients to deliver them creative solutions to face the challenges. The other thing which Strengthens the French Engineering Systemis the country’s legacy of engineering innovation, starting with the TGV i.e. Train à Grande Vitesse or "high-speed train". TGV which holds the World record is considered to be a technological Achievement as it is a perfect combination of performance, comfort, and commitment. In 17th century there was a 150-mile Canal du Midi which expands from Toulouse to the Sète port in the Mediterranean which is extraordinary in terms of both vision and execution and it alsoearned Unesco World Heritage Site Statusand European engineering is incomplete without mention of the Eurotunnel Which was A joint project of France and the UK the Channel Tunnel, which was declared to be one of the seven wonders of the modern world took more than 13,000 workers and five years to complete. They were considered unthinkable as the French engineers have not kept their minds into this task. In fact, France recently topped from all European countries for innovation based on Thomson-Reuters’ of the “Top 100 Global Innovators.” As the world is facing so many challenges, these past accomplishments shows potential of French-educatedengineers who are going to make a profound difference in societyWhile the importance of knowing English is widely touted, the value of bilingualism is rarely understated. Globalization helps to breakconventional barriers to communication. In addition of enhancing a student’s ability in communication, studying French also helps students to have knowledge to understand French culture and context. These cross-cultural capabilities serve graduates well when working alongside other French speakers and also communicating with other international students. In short, adaptability is a Mandatory attribute in today’s complex landscape.Mere mention of the word “France“ attracts most of the people. While engineering programs are demanding, But there is no time to spend all your time studying. When you’re not with the books, France offers anmany unforgettable things to see, do, taste and discover. 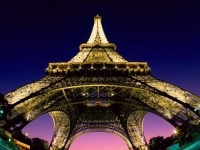 And Not Only Paris there are other phenomenal French cities for international students. France is known for many things -- from Fabulous art to fabulous food. It isn’t a surprise that this prominent country also shines in other areas as well Including Engineering .Prospective engineers in search of high-quality international educational opportunities will find so much more in this legendary, romantic and innovative country.